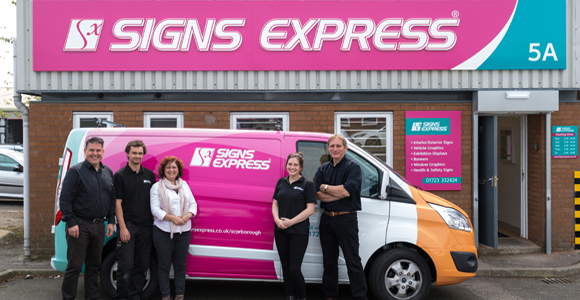 Signs Express, the sign manufacturer and vehicle graphics company has welcomed franchisees Edith and David Lloyd to its network. The pair have opened in a new territory for the company in Scarborough, North Yorkshire. The fully-equipped sign making centre includes a purpose-built temperature controlled vehicle bay and state-of-the-art printing technology. The outlet is ideally situated to serve the Yorkshire coast, East Riding market towns and North Yorkshire Moors region. Signs Express says that together the Lloyds’ are a great combination for a new business. David has management experience in graphic design, digital print and manufacturing sectors, a track record of facilitating growth and executing multi-million pound projects, whilst Edith has a corporate background in sales and marketing, as well as being a qualified teacher. Signs Express, based in Norwich, has over 65 centres across the UK and Ireland.